In a writing career that spans more than four decades, Ken Auletta has seen many trends come and go. 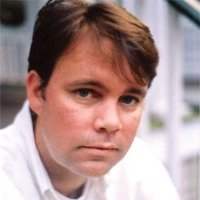 Few are better equipped to offer poignant analysis of the dramatic transformation taking place in the world of marketing and advertising over the years. His new book, Frenemies, explores this revolution deeply. If the aforementioned gloomy reference to an imperiled world (very much in line with the title of Auletta’s last book, Googled: The End of the World As We Know It) sounds a tad sensational, it only makes sense as a reflection of media and advertising in the digital age, where saturation and unprecedented competition demand new levels of guile in order to attract attention. As you flip through the pages of Frenemies, you can’t accuse Auletta’s characterization of being entirely overstated. The longtime New Yorker scribe conducted hundreds of interviews with executives and key players in the thick of this disruption. Even if there is some truth to that, the insights from these high-powered creatives and agency executives are nonetheless fascinating for any of us operating in the dynamic digital marketing environment at any level. 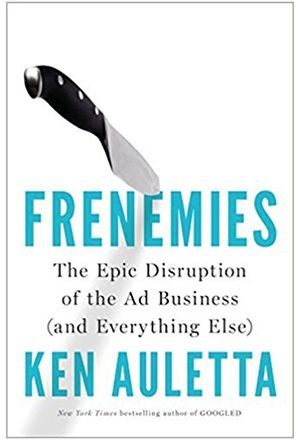 In his book, Auletta describes “frenemies” as the former partners and colleagues who now find themselves in the strange position of competing against one another (or against AI and machine algorithms). “The agency edifice itself is being assaulted, as new rivals surface—tech and consulting and public relations and media platform companies—many of whom have been allied with the agencies and claim to still be,” he writes. But this story’s true conflict — one borne out through the book’s anecdotes — is the demeanor of the public at large, which grows increasingly averse to interruptive ads and encroachments on data privacy. Auletta calls this an existential threat to the industry, another seemingly hyperbolic description that really isn’t so outlandish. The challenge of delivering useful content to the right people, without missing the mark or causing irritation, is one that presses on us all. But as the saying goes, change is the only constant. Through his profiles and examples, Auletta does a good job of portraying the metamorphic nature of marketing and advertising in the digital age, and lays out the hurdles before us. He stops short of offering solutions. That part is left up to the reader. But it’s a directive we should be hungry to take on. I know which category I want to fall into. And if you’re in the same boat, the compelling tales in Frenemies will help improve your understanding of the opportunities ahead. And one final cool thing about Frenemies: My LinkedIn colleague Jann Schwarz makes an appearance on pages 235-236. For more guidance as you venture forth into the brave new world of marketing and advertising, subscribe to the LinkedIn Marketing blog.